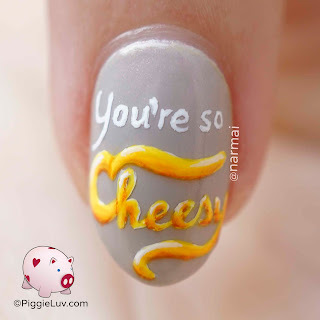 Oh gosh honey, you're so cheesy! 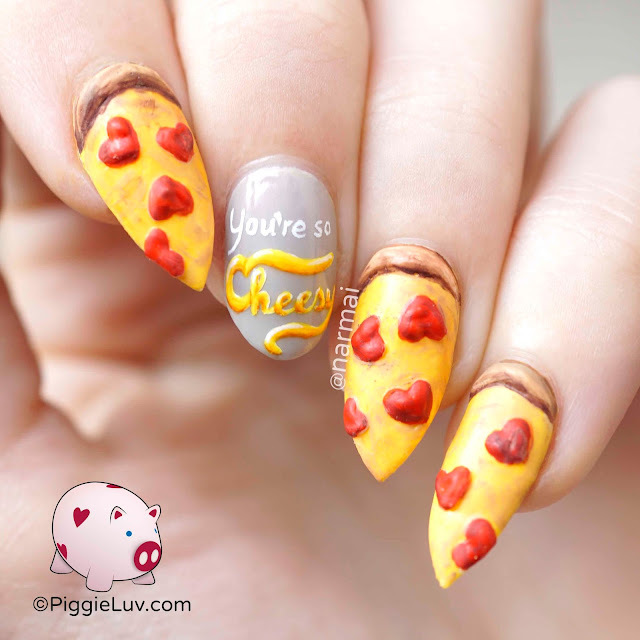 You got a pizza my heart! As you might have guessed, I used fake nail tips for just this once! 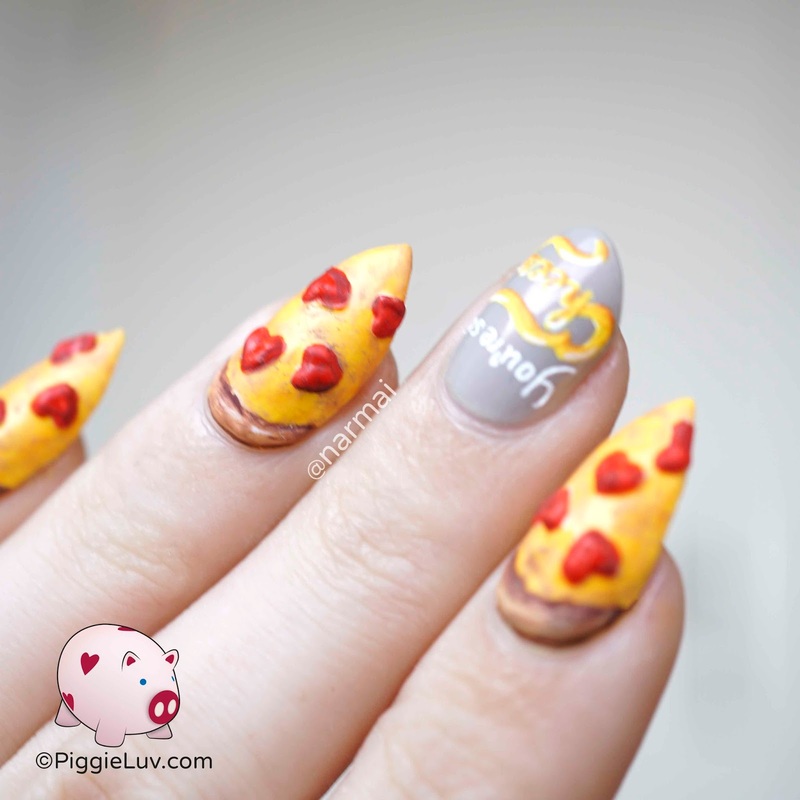 I used gel polish to make the crust & salami/sausage, and colored it in with acrylic paint. It's not meant for actual wear ofcourse, but I've wanted to make pizza pieces for soooooo long! !